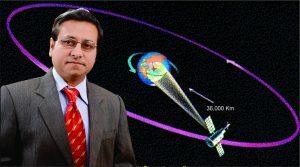 IRRS Officer Ajay Singhal (born on February 21, 1976) of Bhopal, Madhya Pradesh, led a gigantic mission ofmonitoring the usage of spectrum in operations of commercial satellite services by deploying a unique manual steerable dish antenna alignment system of only 2.4 meter named ‘SMALL WONDER’, functional since April 19, 2013 at Satellite Station Jalna (India). Success of this mission has earned him the tag of ‘The Spectrum Man’. Comments for UNIQUE COMMERCIAL SATELLITE SPECTRUM MONITORING SYSTEM are now closed.